It is important to have a process to follow to meet the needs of students who are not currently meeting reading outcomes within classroom instruction. 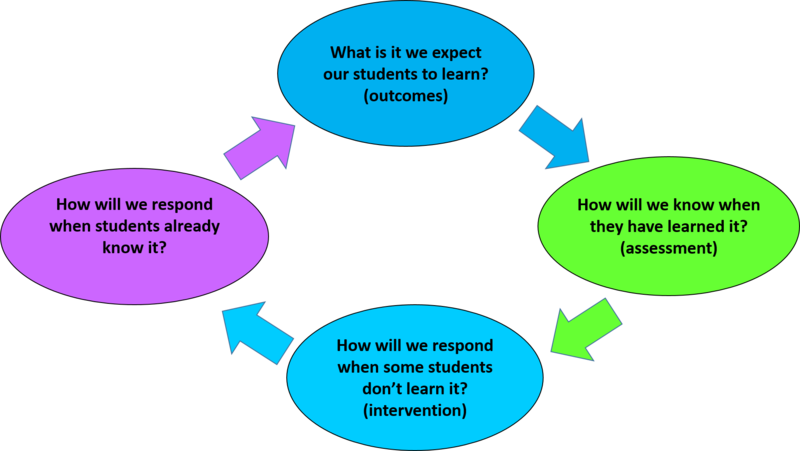 Dufour’s Professional Learning Community questions are helpful to guide a process for intervention (Dufour, Eaker, Dufour & Many, 2010). 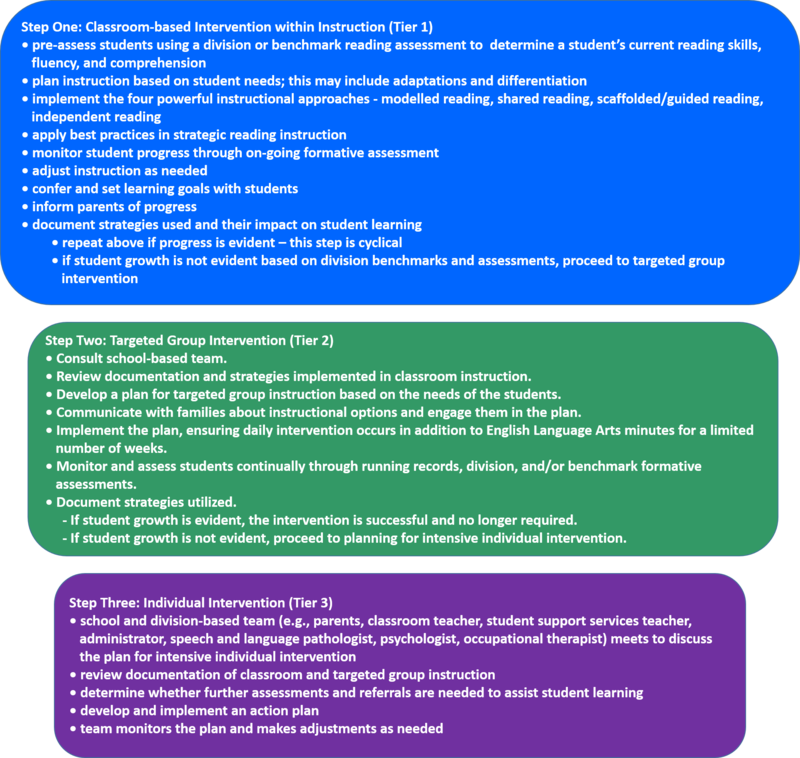 The following process will guide teachers in supporting students within their classroom. It is meant to determine when intervention beyond the classroom is necessary and when other professionals could be consulted. This may be used as an example when addressing student needs.